You can't get a better location for the price. This property offers a cozy neighborhood feel, but is just minutes from the excitement of down town Salt Lake City. 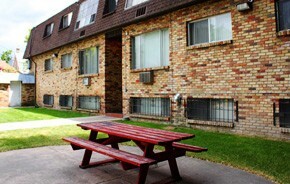 Walking distance from great restaurants, beautiful Liberty Park, Shopping, and public transportation. Convenient location close to Trolley Square! Close to Shopping, Dining, Bus Routes & Much More! Concept Property Management offers a wide range of beautiful properties with great features and amenities. Click now to view availabile listings.